Three-Colored Kelimutu Lake is a really popular travel destination and a must visit in East Nusa Tenggara, Indonesia. In addition to the lake, East Nusa Tenggara has more to see and to visit. Here are 7 places to see on the way to Kelimutu Crater Lake from Ende to Mony. Some of them are the places where you can learn the important history of the nation and some are places with beautiful calming views. It is a house where Bung Karno or Soekarno, the first president of Indonesia, lived in during his time in exile. He was exiled in 1934 and lived there to 1938. He lived in exile on the remote town of Ende, on the island of Flores with his family. After that, he was moved, still in exile, to Bencoolen (now Bengkulu) until 1942 due to an outbreak of Malaria in Flores. Ikat weaving or tenun ikat also simply known as Ikat is an ancient technique used to pattern textiles. The essential characteristic of ikat is the dyeing of patterns before the weaving takes place. 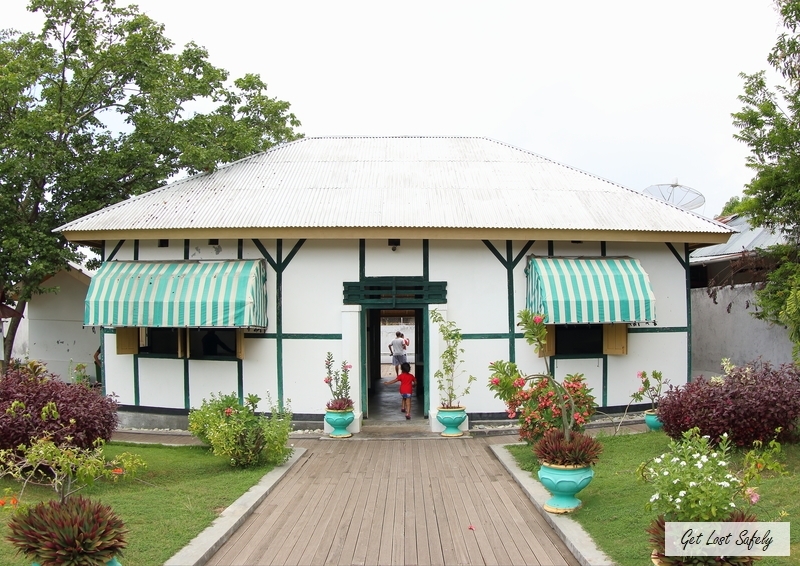 The museum is the only Ikat Museum in East Nusa Tenggara Province. Therefore, make the time to visit it. The buildings in a shape of traditional house called Lio are not far from Bung Karno Seclusion House. Just aside the Ikat Museum, there is a park. 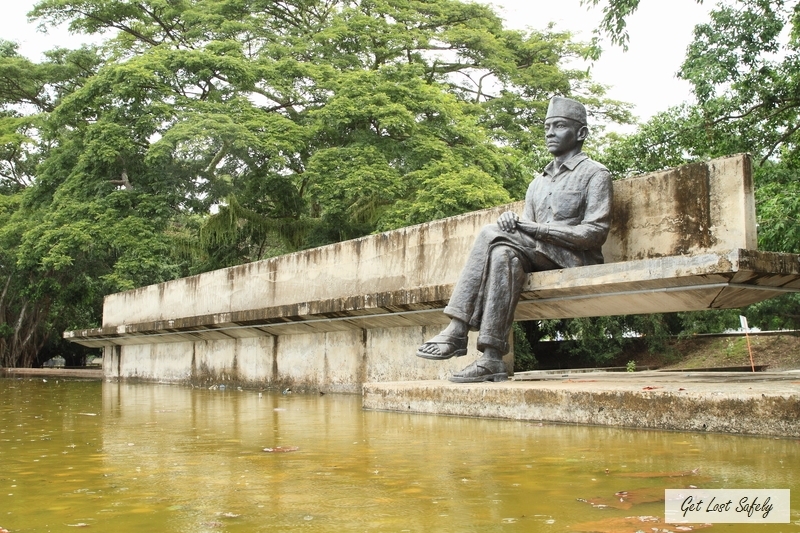 Taman Renungan Bung Karno, a place where the first President of Indonesia was sitting and thinking. The locals say that he often came there to think and it was the birthplace of Pancasila or the 5 pillars of Indonesia as a country. A statue of him crossing his legs is built here to remember him. 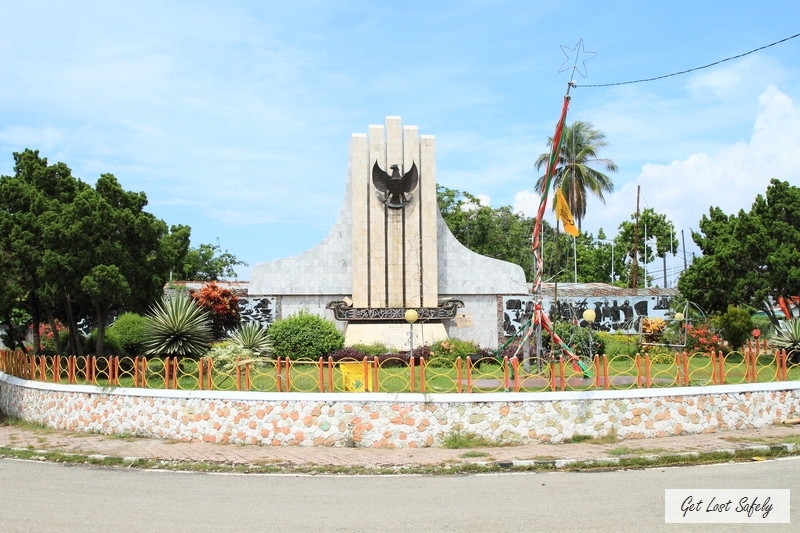 The monument was inaugurated in 1985 in Ende, East Nusa Tenggara. In 1992, a tectonic earthquake hit Flores Island and destroyed Pancasila Monument. Then not even a year later, it was renovated and reinaugurated by the former regent. We passed on the car from Ende to Moni Village and there was a bridge that looks so beautiful with high mountains in background. 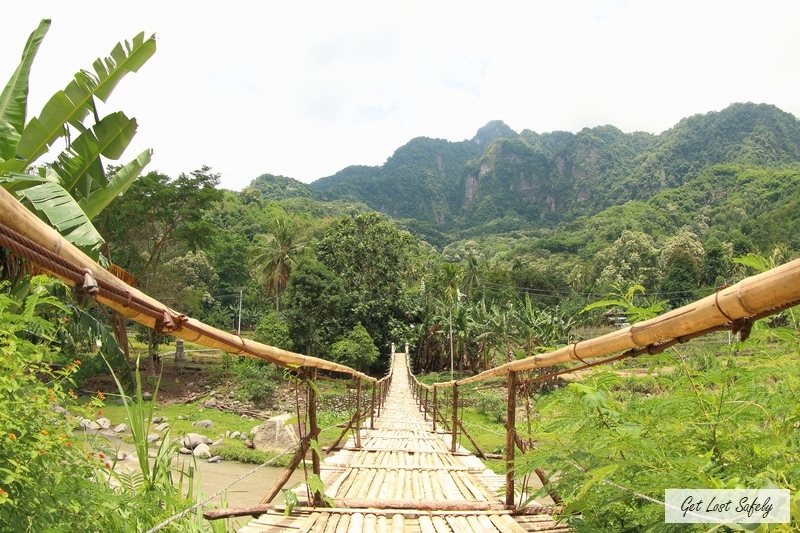 A bamboo bridge crossing over the Wolowona River. Even in the end there was another bridge aside the bamboo one. A modern one, a suspension bridge. The atmosphere was genuinely peaceful. There are more to explore in East Nusa Tenggara. 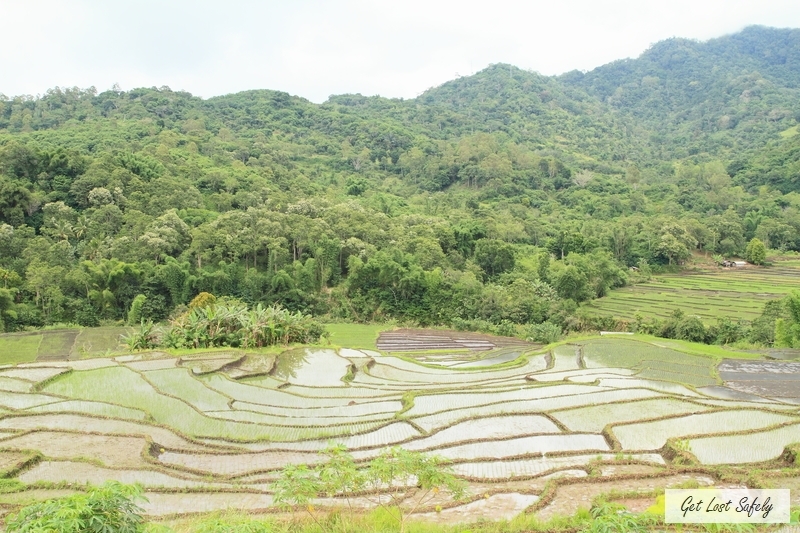 One of them is the view of paddy fields along the road to Moni Village from Ende which is trully magnificent. The hills and the rice paddy fields in the Terrace shape form a unique rustic landscape. The terrace has the purposes of more effective farming and in plus bring up a wonderful scenery. 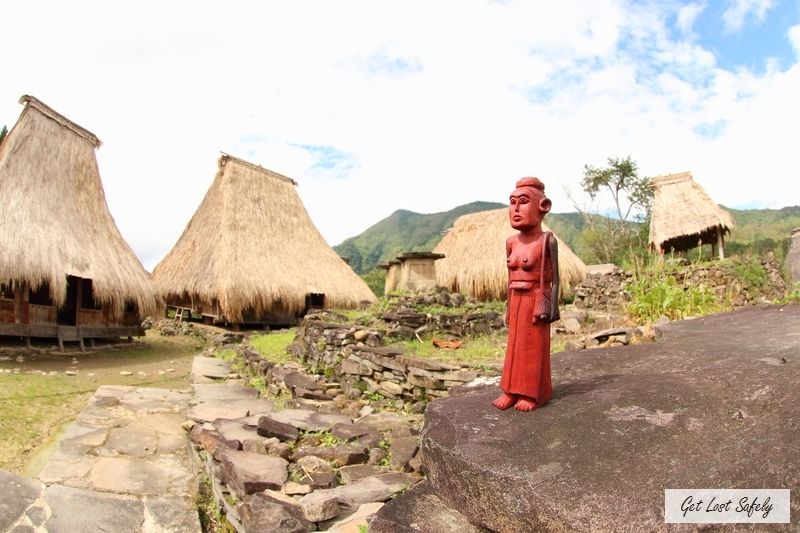 Flores Island has tons of traditional villages on its island. 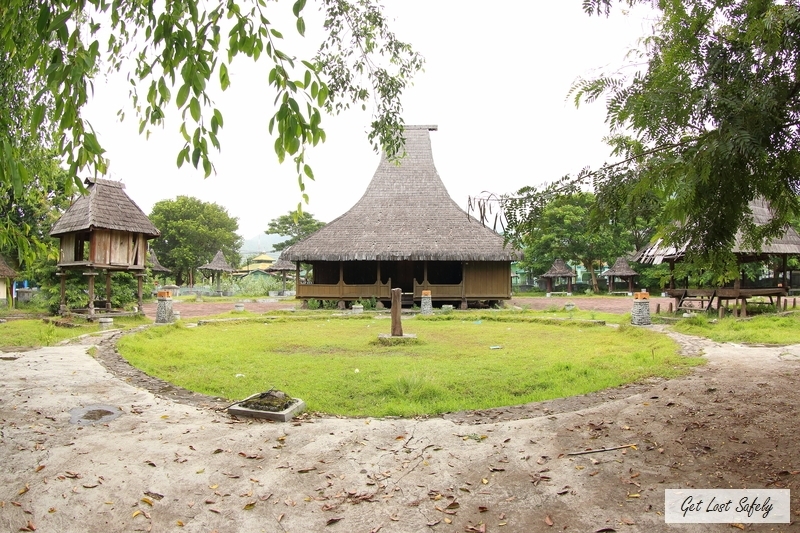 One of them that located on the way to Moni Village from Ende is Wologai Traditional Village. Whisper says that Wologai already exists for more than a hundred years. It is quite old for a young country like Indonesia. East Nusa Tenggara is full of undiscovered destinations and I didn’t have enough time to explore more. Seems like I’ll have to come back one day. Do you know other places to visit along the way from Ende to Moni Village in East Nusa Tenggara? Feel free to comment below and share.